And the clock is still ticking on the country's EU exit process, with just 10 weeks until it is due to leave the bloc on March 29. Here's a look at six different ways that could go. 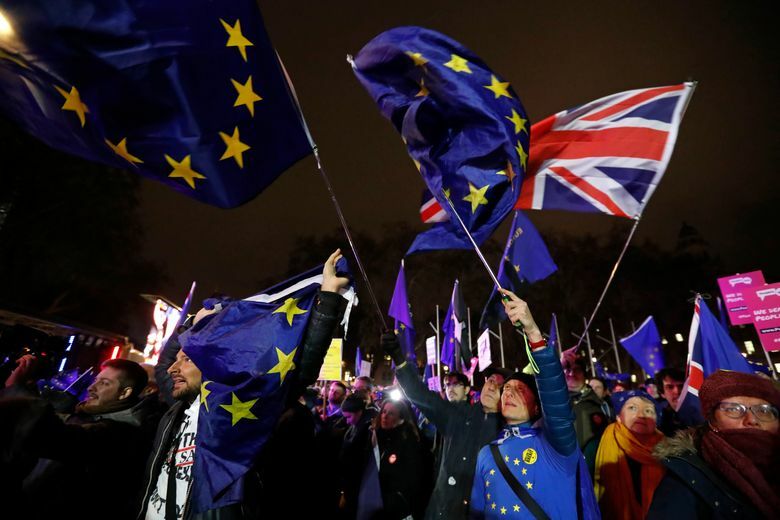 LONDON (AP) — Britain’s Parliament has delivered a crushing verdict on Prime Minister Theresa May’s Brexit divorce deal, rejecting it by 432 votes to 202 — the biggest defeat suffered by a government in modern British political history. That leaves the country’s EU exit process in crisis, with just 10 weeks until it is due to leave the bloc on March 29. On Wednesday, May’s government faces a no-confidence vote in Parliament. If it survives, May has until the start of next week to come back to Parliament with a Plan B.
Here’s a look at what might happen next. After Tuesday’s defeat, May assured the House of Commons that “the House has spoken and the government will listen.” She plans to hold talks with lawmakers from across the political spectrum before announcing a new plan. But May’s office has downplayed the prospect of major changes to the deal that has been negotiated. “It looks as if we’re just going to get more of the same and that she’ll come back in a week or so’s time with nothing substantially different from what we’ve got now,” Bale said. Only a substantially new proposal from Britain is likely to receive consideration from the EU. Leaders of the bloc have signaled that they would welcome a softer Brexit deal that saw Britain remain part of the bloc’s customs union or single market for goods and services. May has always ruled that out, saying it would not deliver what Britons voted for in the 2016 EU membership referendum. But some lawmakers think they can win majority support for the idea in Parliament, and “soft Brexit” is picking up steam. 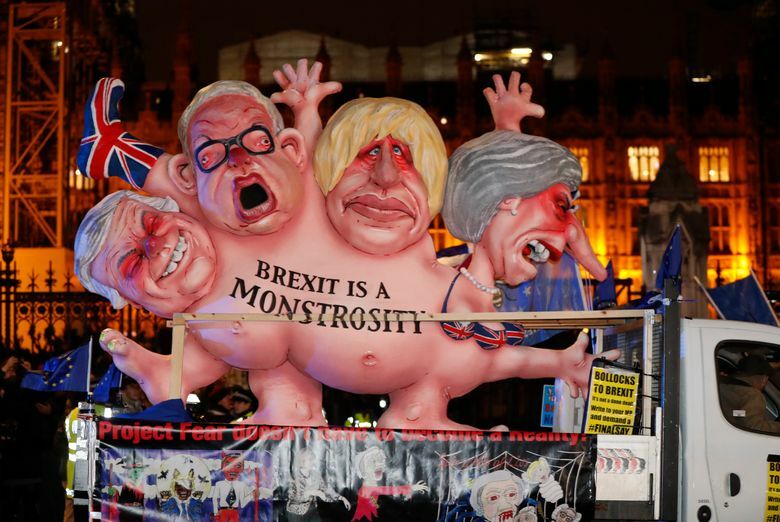 Some ministers are urging May to delay Brexit and then consult lawmakers in a series of “indicative votes” to see if a majority can be found for a new plan. 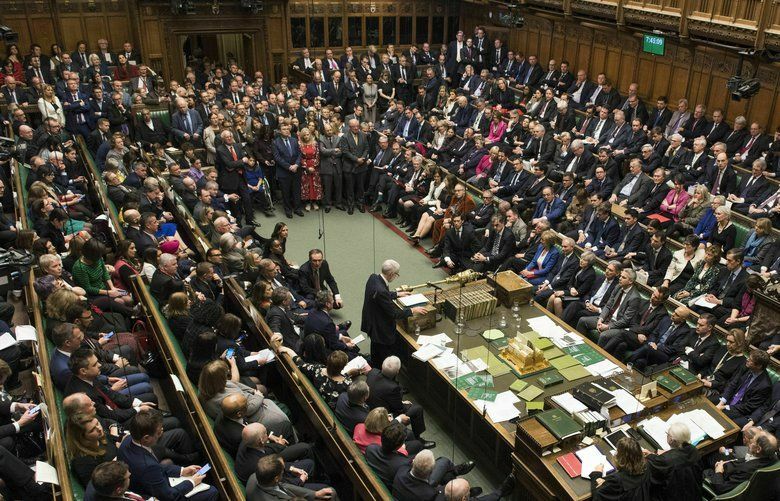 And various factions of lawmakers are exploring ways to use parliamentary rules to wrest control of the Brexit process from the government. A delay would likely also be needed in the event of two other possible scenarios: a general election, or a second referendum. Any delay to the date of Brexit would require unanimous approval from leaders of the EU’s remaining 27 member states. Immediately after Tuesday’s vote in Parliament, opposition Labour Party leader Jeremy Corbyn called a no-confidence vote in the government, to be held Wednesday evening. If the government loses, Britain is facing an election for a new Parliament and government. The government is likely to survive, however. Almost all members of the governing Conservatives say they will support May, as will her parliamentary allies in Northern Ireland’s Democratic Unionist Party. 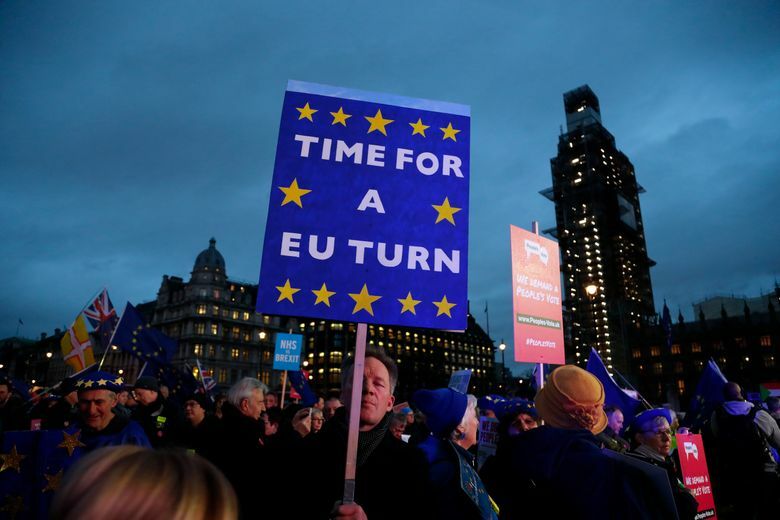 The campaign to revisit Brexit in a second referendum — driven largely by supporters of the losing “remain” side in the 2016 referendum — has been gathering steam as the pitfalls and complexity of the divorce process become clear. But it’s unclear what the question would be. Many pro-EU politicians want a choice between leaving on the proposed terms and staying in the EU, but others say leaving without a deal should also be an option. There’s a strong chance any new referendum would be as divisive as the first.